Hi, today on review one more infrastructure project – Unibright . In 2017, the most productive projects were infrastructure projects – and Unibright is just one of those. In addition, the biggest profit we saw on those projects that initially collected a small capitalization – and again this parameter comes to Unibright. I was very much attracted not only by the technical side of the project but also by the team and other aspects. I will now tell you in more details. Unibright is a universal framework for integrating the business into blockchain and creating smart contracts for its needs. Compared to existing systems, for example, Ethereum smart contracts, the project offers the opportunity to create “smart contracts” without having the skills to program them. At the same time, the Unibright client does not have to spend the effort to work with various important but complex technical details – for example, protection against hacker attacks. Given that now the implementation and support of blockchain solutions and smart contracts requires large expenses and attracting good specialists, and a growing number of businesses come to the use of blockchain technologies – the idea of Unibright project is now very much in demand. Unibright Explorer monitors all business processes through smart contracts and related systems. It displays on the convenient panel all the important information for business. Unibright Visual Workflow Designer gives each client the opportunity to create a blockchain solution or a smart contract for their business without the use of any programming skills – only through the use of visual blocks in the system. Unibright Contract Lifecycle Manager converts created by you smart contracts into code that runs on the Unibright platform in just 1 click! Unibright Connector combines the existing IT with blockchain and smart contracts, using a set of specific “smart adapters”. The project is based in Germany, and the German securities regulator will verify the legality of the sale of the Unibright – UBT tokens. Tokens are issued in the standard ERC20 standard and will be used to pay for all platform services. The initial capitalization of the project will vary from $ 14.7 million to $ 21 million, depending on the number of tokens sold. The United States and China for legal reasons will not participate in the purchase of tokens. Unsold tokens will be burned. Now Unibright is at a very early stage of development, in addition, developers have repeatedly stated the importance of confidentiality for them – therefore, there is currently no public access to project code. However, the project has a very well-designed White Paper, described cases, a detailed business strategy and a clear roadmap. The project has a couple of close enough competitors – Dragonchain and Morpheus Labs. However, none of them also have a finished product. Despite extremely great prospects, the scope of Unibright’s work is not very competitive yet, which allows the project to hope for winning a fairly large share in the overall “pie”. The project has already announced a partnership with Ambisafe, a well-known team that provides business with a variety of blockchain solutions and tools for working with crypto currencies and smart contracts. Unibright is also part of the global partner program Microsoft Partner Network. A good concept of ERP-system with the ability to bind traditional ERP-systems to a single blockchain-infrastructure. The project Unibright is the company SPO consulting GmbH with 20 years of experience in the field of IT. The same company also helped integrate SPA and Microsoft.Net technologies into the business environment. All this indicates a high level of qualification in this field, relevant experience that will help Unibright compete in the market. The company enlisted the support of quite serious partners, such as Lufthansa, Microsoft, Siemens, etc. If the company has such large partners, it means that the project has all the chances to enter the market with lightning speed and take its niche. 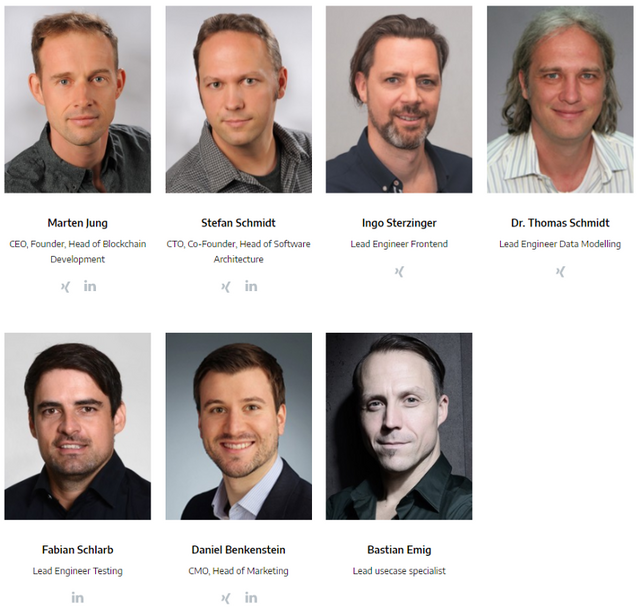 Excellent advisors of the project. There are guys from the SPA and PwC. From the world of blockchain, the representative of the company Ambisafe – Oleksii Matiiasevych, architect of Ethereum, developer of smart contracts, stands out. A sufficiently detailed Whitepaper. The main tasks, problems, applications, examples of business cases – are given. The company is aimed at serious improvements and further developments on other blockchain technologies in addition to Ethereum. BaFin (Federal Office of Financial Supervision of Germany) approved the sale of Unibright tokens. Great news for attracting investors. Unibright has a fundamentally good and very practical idea that will become their key to a huge market. At the same time, the project took maximum care to do everything legally and under proper control. 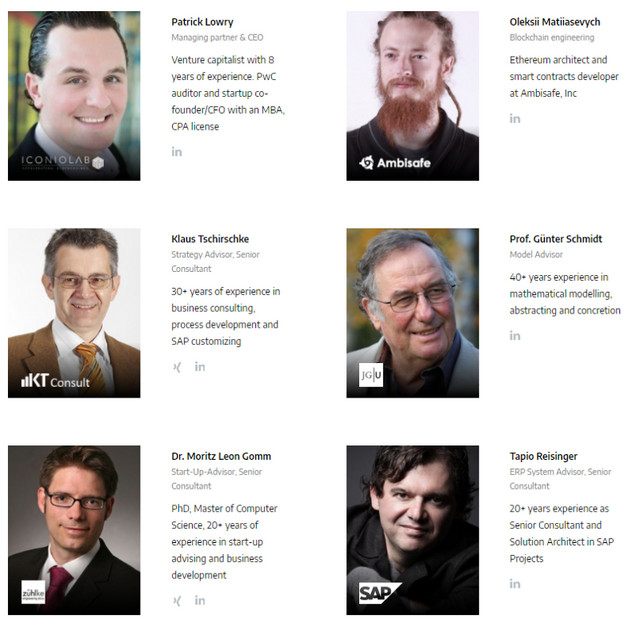 The project team consists of well-known personalities. In addition, advisers also inspire respect. Whitepaper and all the other documentation of Unibright is carefully worked out. Also sensibly thought out the distribution of tokens – all is very transparent. The project is active in social networks, fairly openly talks about the members of its team and promptly answers questions from users. I have no doubt that this project will be successful an very useful in near future.